Taking long-haul airplane flights or family car trips, touring museums, or exploring natural trails this summer may be extremely rewarding for you and your family, but if you’re suffering from chronic back or neck pain, it will definitely be a scourge. Uncomfortable seats, cramped leg room, being confined in small spaces, and sitting in awkward positions for hours on end may exacerbate the pain in your back and neck and turn your dream trip into a complete nightmare. • Adjust the seat to support as much of your thighs as possible while making sure the backrest keeps your back straight by having an inclination of no more than 10 degrees. • Avoid eye strain by getting your vision regularly checked and using protective gear whenever driving in bright sunlight. • Exercise and maintain correct driving posture by placing your hands in the correct position on the steering wheel (in the 3 and 9 o’clock positions). Try to slowly move away from your poor sitting habits by keeping the back straight and elbows resting comfortably on the armrests. • Support your lower back by adjusting your seat to fit the natural inward curve of the spine. If your car seats don’t come with lumbar support, consider purchasing an in-car lumbar support or at least fill the space at your lower back with a small pillow. • Use an inflatable pillow to ensure support of your head and neck or place a rolled towel behind your lower back to maintain the inward curve of the spine. • Get an aisle seat if you have violent episodes of chronic pain; that way, you can easily exit the seat in case of an emergency or get up and stretch to reduce strain on your muscles. 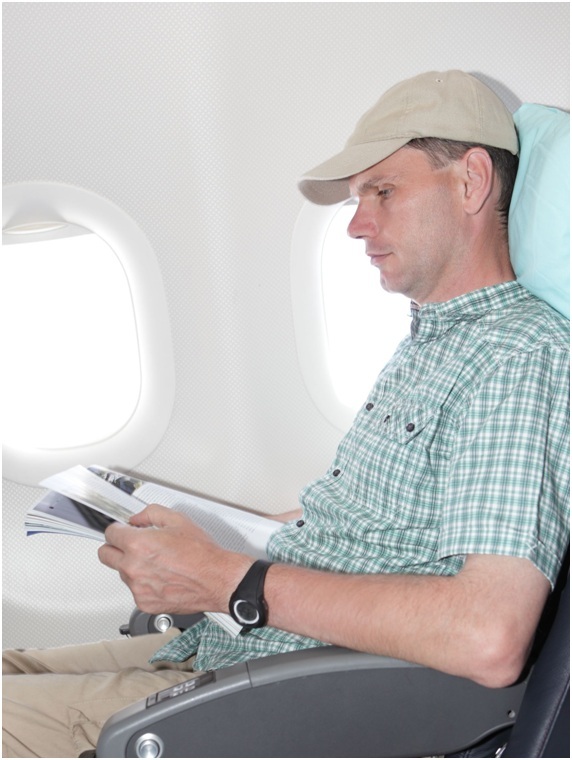 Here is how to choose the right airplane seat for your needs. • Ensure proper alignment of your feet with your hips by placing a book or something similar on the floor to keep your feet on. • Stretch at least once an hour and get up from your seat and walk down the aisle every now and then to keep your blood circulating and your muscles active. • Your backpack must distribute the weight evenly between your sternum and your pelvis, otherwise you will soon experience pain in your neck and shoulder muscles. • Correct the position of your head. You may be tempted to crane forward – as you regularly do at your office job – but this position will end up putting extra strain on your neck and back. Try to maintain a correct posture by avoiding misalignment between your neck and torso. • If you regularly perform back exercises or train your muscles, make sure you know what muscles are trained by each of your weight lifting routines. Consult with a personal trainer to make sure you’re prepared to bear the weight. • Although it doesn’t seem like it, your gait and footwear are essential in protecting your back. 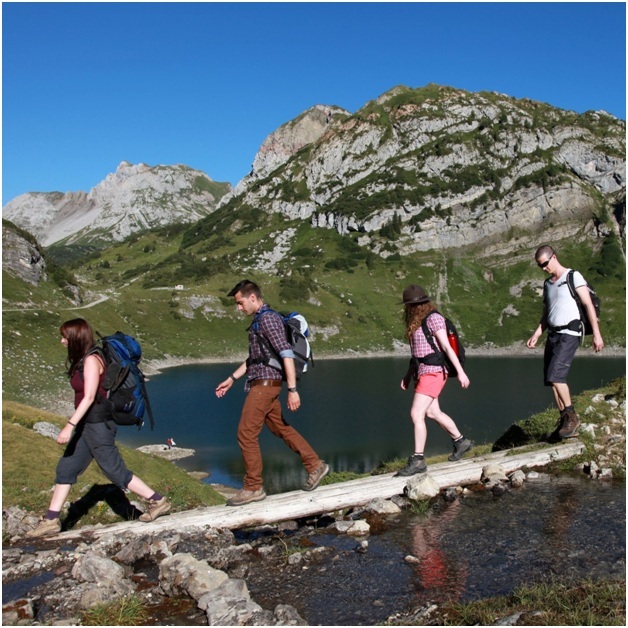 Get comfortable hiking boots with proper ankle and arch support that will make every hiking trip easy and fun. If you find yourself constantly in pain, don’t forget to pack your prescription medication whenever you’re traveling and keep it on you at all times. Also, consider visiting your local chiropractor once you get back to discuss suitable long-term solutions, whether massage therapy, ice therapy, or spinal alignments, to get back on your feet. Dr. Marc Browner practices at Windmill Health Center in Weston, Florida. A graduate of the University of Florida, he earned his Doctor of Chiropractic degree in 1995. In private practice since 1998, Dr. Browner is a member of the Florida Chiropractic Society, the Florida Chiropractic Association, and he attends continuing education seminars, classes, and workshops to remain abreast of the most current treatment methods and technological advances in the field. I read this article and found it very interesting, thought it might be something for you. 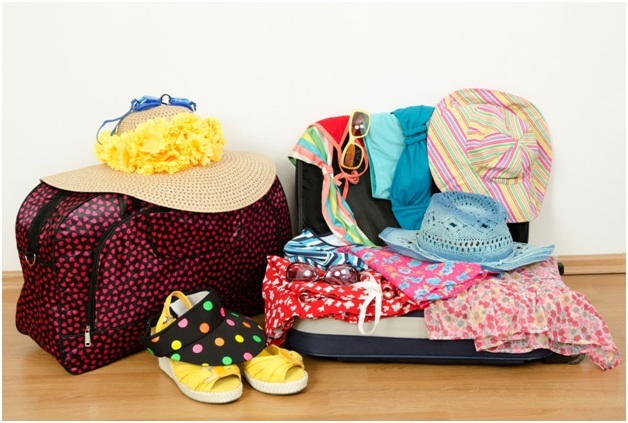 The article is called Drivers, Airplane Passengers, and Hikers: Chronic Pain Travel Tips for Summer Vacations and is located at http://www.windmillhealthcenter.com/chronic-pain-travel-tips-vacations/.